Changeable lens – Yes. But requires almost 5 minutes! 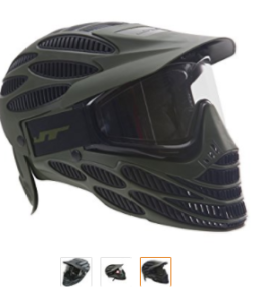 Buy the JT Spectra 8 Full Head Mask with Great Anti-Fog Lenses NOW, at Amazon. With a 260° field of vision and a very light and comfortable profile, the JT Spectra 8 is a great mask for less than $70. However, we will tell you right off the bat that this is one of the smaller masks out there. If you have an above average head size, even if by only a little, we don’t recommend this mask at all. But, if your head fits into it fine, you will find that this is one cool mask, literally. It features a very unique dual fusion co-molding technology venting system that allows hot air to be quickly exchanged out with cooler air from the outside. You just have to try out this mask to understand how much cooler it can keep you than other masks in a similar price range or even in higher price brackets. The cooling or venting system also helps with the anti-fog feature of this goggle. A small amount of fog only appears after several hours of use, if it appears at all. Even if you are a heavy breather or someone who doesn’t have a breathing system that minimizes fog, you can still not have these lenses fog by using an exhaust fan that can easily be housed into the jaw line. 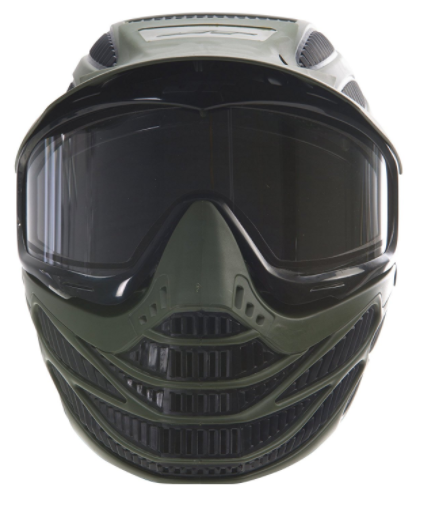 An exhaust fan like the Vortex 2 fan system will easily fit into this helmet. Lens swap out takes a laborious few minutes but then you can’t expect a whole lot better from a mask in this price range. For really quick change out of lenses, you generally need to spend upwards of $100 for a mask. To conclude, we highly recommend the JT Spectra 8 if you are after a full face mask that covers your forehead and neck, even if it leaves a little bit of your ear lobes exposed. There are not many full face masks out there that stay cool and prevent fog, like this JT mask. Just remember that it isn’t one to choose if you have a larger than average sized head. Otherwise, it is a fantastic buy if you only want to spend about $70 on a mask. Check it out on Amazon here.